Manufacturer of a wide range of products which include mini mcb with enclosure, allwin electric - distribution boards, mcb changeover switch, modular mini mcb, residual current circuit breaker and isolator switching devices. Mini MCB With Enclosure is a compact & aesthetically designed protection device which provides protection against Overload & Short Circuit. Common applications are in Air Conditioners, Geysers, Motors, etc. It is designed for quick and easy installation. 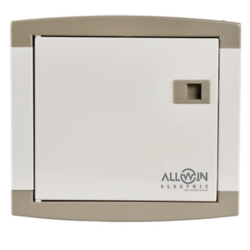 Allwin Electric Distribution boards have been designed to provide a new dimension of protection and style in Homes, Offices, and Industries. It is equipped with stylish color, elegant curves and distinctive finish that blends with all kinds of interior décor. MCB Changeover Switch is a manually operated changeover switch which finds its application in switching load between two power supplies. 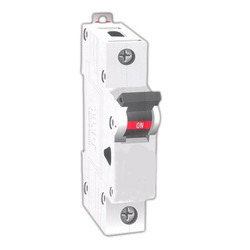 The changeover switch comes in 2P and 4P versions, for single and three phase application respectively. It has three positions (I-O-II) with center-off. 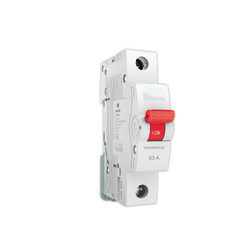 This compact and reliable range of Modular Mini MCB ensures operational safety of precious appliances by providing undeterred protection from overload and short circuit. 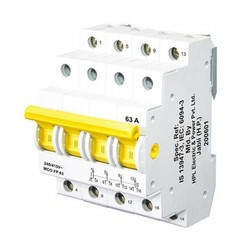 Mini MCB is suitable for protection on per point basis. 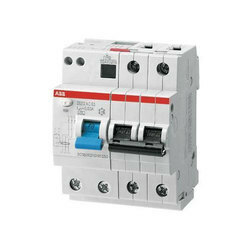 Allwin Electric Residual Current Circuit Breaker(RCCB), also known as Earth Leakage Circuit Breaker(ELCB), is designed to cause the opening of contacts to disconnect the load from the supply mains when the residual current is flowing in the circuit. Earth leakage and its associated hazards can be prevented by RCCB. Faulty wires, poorly insulated equipment & incorrect use of an electrical device are the primary elements that may cause leakage of current. Allwin Electric Isolator Switching Devices are perfect companions for ensuring the complete de-energization of the electrical circuits. The isolator ensures that there will be no current on the load side even if impulse voltage appears when the isolator is OFF.